This disclaimer regulates the use of the icrcat.com website (henceforth, the website), property of Institut Català de Retina, S.L. (henceforth ICR,) located at Pau Alcover, 67 Barcelona, CIF B-58.194.416 and registered in the Barcelona Business Register, Volume 24622, Folio 175, Page B-42425, Registration 26. Access to the ICR website is completely voluntary, and whoever enters the website becomes a user, which means completely and unreservedly accepting each and every one of the regulations included in this Disclaimer, which may later be modified. The user agrees to use the website correctly in accordance with the law, good will, public order, traffic management and this Disclaimer. The user will be held accountable to ICR or to third parties, for any damage or harm caused as a result of not following this obligation. Likewise, by visiting the website the user assumes, understands and accepts that the data and information about services that appear on the website are merely informative and may contain mistakes or not be updated. Specifically, as the contents are of a medical nature, the user accepts that the information on the website is intended to complement the doctor-patient relationship and not to replace it. If in doubt, you should consult the medical team. ICR reserves the right to temporarily suspend, or definitively stop, access to its website, without the need for prior notice, in order to maintain it, repair it, update it or improve it. You can send us any doubts that you have through the contact details listed below. Corporate name: Institut Català de Retina, S.L. All notifications and communication between users and ICR are considered effective, when carried out using the details listed above. Users of the ICR website are free to access all parts of the site except those which form part of restricted or subscription-based areas. Users agree to use the ICR pages in accordance with Spanish law, this Disclaimer, the Specific Conditions of certain services and any other warnings, regulations and instructions of use that they have been made aware of, as well as with generally accepted morals and good behavior and public order. The main objective of this website is to inform the general public of the medical services offered by the centre. 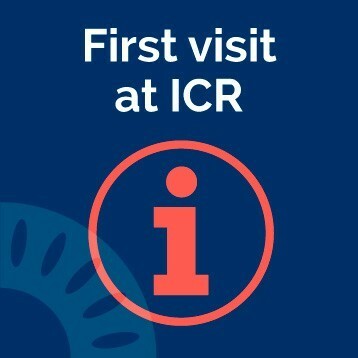 The ICR does not accept responsibility for any information not part of the website and that is out of its control and/or which the centre has not authored, or is not responsible for, such as parts of the website which can be altered/added to by visitors or their legality and suitability. When we require information from a patient, we will always ask that it be given voluntarily and expressly. The data requested through our different forms on the website or other means, will be incorporated into a personal data file, which forms part of the General Register of Data Protection of the Spanish Data Protection Agency, which the ICR is responsible for. This organization will treat data confidentially and with the sole aim of providing the requested services, with all the legal guarantees and protection established in Regulation (EU) 2016/679 of European Parliament and the Counsil, of 27 April 2016 on the protection of natural persons with regard to the processing of personal data and on the free movement of such data, and the Law 34/2002, of 11 July, in Services of the Information Society and Electronic Business. Likewise, ICR will delete or correct data that is seen as inexact, incomplete or no longer necessary or fit for purpose, in accordance with Regulation (EU) 2016/679. Users may exercise their right to access, change, withdraw or oppose data by contacting the Representative of Data Protection (RPD) stated below. ICR has adopted the corresponding security levels required by Regulation (EU) 2016/679 and other norms. Our policy regarding Email involves only sending information which you have requested. If you prefer not to receive these Emails then we offer you the possibility (with the Emails themselves) to exercise your right to cancel and stop receiving these messages, in accordance with title III, article 22 of Law 34 /2002 of Services on the Society for Information and Electronic Commerce. Institut Català de la Retina, S.L. Institut Català de Cirurgia refractiva, S.L. Aim: The purpose of its creation is the medical-sanitary and social treatment of the users of our center, in part or in its entirety. ￼Legitimization: ￼ ￼The legal basis for the present treatment is the request for the provision of medical-health and social treatment services performed by the users of our center. Recipients: The recipients of the information are the departments and delegations in which ICR is organized, in part or in its entirety. Other recipients of the information are the public or private entities that, due to legal obligation or material need, have to access the data, for the purposes of the correct provision of medical-health and social assistance, which is the purpose of the treatment of this data. In those cases in which due to their treatment the use of some specific surgical material is necessary, their personal data may be communicated to the supplying entities, only and exclusively, for the previously described purpose. ￼Rights:￼￼ At any time, you can exercise your rights of access, rectification, deletion, opposition, limitation of treatment and / or portability of data by writing to the RPD Representative of Data Protection at the address provided in contact. You can also revoke consents to other treatments. You can also request more information from the RPD about the treatments performed. Preservation: The data collected for health care will be preserved according to current legislation regarding the preservation of the clinical history. The user gives their permission for any personal data which they provide in their comments to be published. The only information visible to other users will be the individual’s name. Neither the Email nor the IP address will be visible. These data are stored for administration purposes and in order to comply with Regulation (EU) 2016/679 and possible actions taken by the relevant authorities and to determine the responsibility of the user. You can exercise your right to access, modify and cancel content, as recognised by Regulation (EU) 2016/679, according to the provisions in the previous paragraphs. In general, the user accepts that the opinion expressed will be exclusively their responsibility. The user accepts exclusive responsibility for any damage that may be caused. ICR will not be held responsible for the accuracy, quality, reliability, or moral or legal nature of the data, information or opinions left by the users. ICR reserves the right not to publish all user opinions. The username is the user’s responsibility. ICR will not be held responsible if other users make an illegal use of this username. If you choose to leave our website via links to websites that are not part of our organisation, ICR does not accept responsibility for the privacy policies of these other websites or for the cookies that these may store on the user’s device. Safari per a IOS (iPhone and iPad). The main objective of the website is to inform the general public about ICR’s medical services, location, and activities. For this reason, its contents are of an informative nature and meant as guidance and should not be considered as legal or medical advice. ICR does not accept responsibility for any information found anywhere other than this website, or which is out of its control and/or which it is not the author of. Specifically, the updating, correction, and accuracy of contents which visitors to the website can access and alter, as well as their legality and/or suitability. ICR cannot be responsible for any type of direct or indirect damage related to the use and/or content of the links included in the page. The inclusion of a link in the page cannot be considered a recommendation to visitors by ICR. The decision to use the link is their choice. In any case, information directly or indirectly accessed through the website may under no circumstances be considered medical advice or a prescription, and the ICR does not accept any responsibility for any kind of direct and indirect consequence connected to actions users may choose to take or not take when interpreting this information. The information contained on the website may not be correct, despite the steps taken to ensure that it is accurate and up to date. As a result, the ICR does not take responsibility for any mistakes, or for any injury caused as a result. ICR reserves the right to alter, update or withdraw any contents of the website without prior notice. ICR does not accept responsibility for any damages caused to the computer systems of web users. ICR cannot guarantee that its contents are free from viruses or similar elements that may cause damage, or for servers or the user’s own device not working correctly. Web content is subject to Intellectual Property regulations and, as such, may not be reproduced, altered, distributed, publicly displayed or stored without previous authorization from ICR. Inappropriate use of the web content may be considered a breach of copyright regulations. Users should not attempt to obtain the contents of the ICR website using means or procedures different from those placed at their disposal or indicated in the web pages in which they are found, except those which are under Copyleft licenses or similar. Dr. Ignasi Jürgens Mestre, MD Ph.D., Medical Director of ICR, member number 27539 of The Official College of Doctors of Barcelona, Doctor in Medicine and Surgery from the Universitat Autònoma de Barcelona and specialist in retina and vitreoretinal pathology. Laura Gómez and Gemma Montfort, members of the communication team. All the content of the website is prepared by the ICR communication team, reviewed by the doctors of the corresponding specialty and validated by the Web Editorial Board. In contents with medical information, the doctor responsible for its review and the date of the last update is indicated. We recommend to always consult your doctor before making a decision regarding your particular case. This website does not receive external funding of any kind. 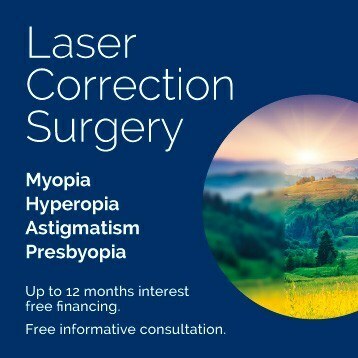 The operating and maintenance cost of this website is part of the general expenses of the Institut Català de Retina and the Institut Català de Cirurgia Refractiva.